Likely targeting a more affluent clientele than the makers of the pizza vending machine or the Twitter-activated iced tea vending machine, a company called Beverly Hills Caviar has developed and launched a caviar-dispensing at a few locations around Los Angeles. 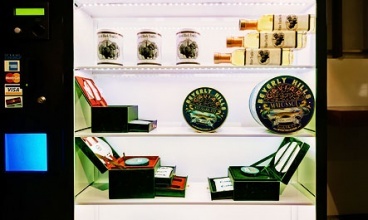 Besides dispensing Imperial River Beluga Caviar at $500 per ounce, the vending machine also offers bottarga, blinis, escargot, gourmet salts, oils, truffles and Mother of Pearl plates and spoons as well as other types of caviar. Prices range from $4 up to $500 per item and the company has also include a variety of gift packages for holiday shoppers. The extremely large vending machine includes a LCD screen on the top left side to play videos advertising the products within the machine. Underneath the flat panel, customers will find a touchscreen display to use when selecting specific products. To the right of the panel, the machine includes a credit card reader as well as a place to insert cash. 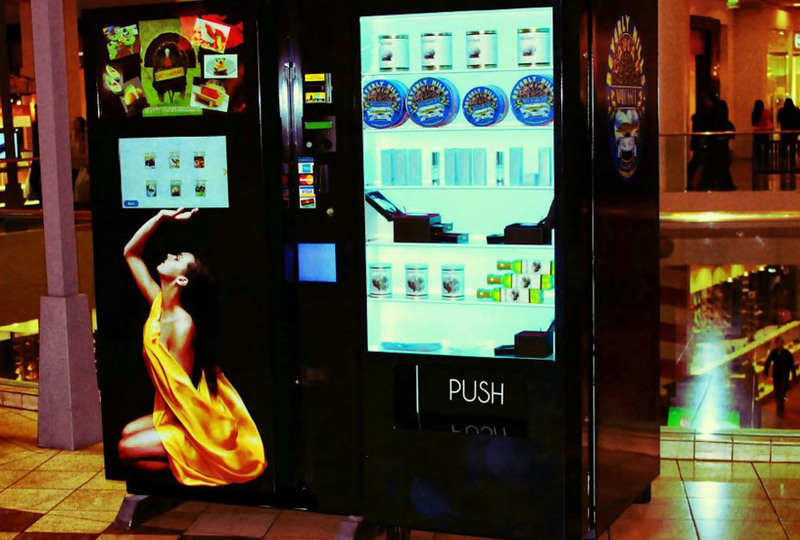 On the right side of the machine, customers can view all the products within a glass case as well as pick up purchases at the vending machine slot at the bottom of the machine. While caviar vending machines rolled out in Moscow during 2010 according to The Telegraph, this marks the first time that residents of the United States will have access to caviar through this delivery method. Los Angeles residents and visitors will be able to check out the machines at the Burbank Town Center, Topanga Westfield Mall and Century City Mall. At one location, customers can order at late as 2 a.m. Beverly Hills Caviar hasn’t announced any expansion plans beyond Southern California. While the success of caviar vending machines is still undetermined, the popularity of cupcake-dispensing vending machines is evident within Los Angeles. During early 2012, cupcake shop Sprinkles launched a pink ATM that dispenses cupcakes in front of the Beverly Hills location which becomes very popular after the shop closes for the day.